we left for Carlingford in Co.Louth around 10.30am arriving at 11.30am, we went on to Greenore later and then left Dundalk around 2pm. Around 4pm we arrived at Kilmainham Jail, Dublin for a prebooked tour which finished around 5pm. Once the tour was over I headed back to Galway City, arriving home around 8.30pm. Park Avenue Hotel, Shops, and award winning Restaurants and Cafes fit for foodies! Hey All, Brian "thehappywanderer" here with another Video. 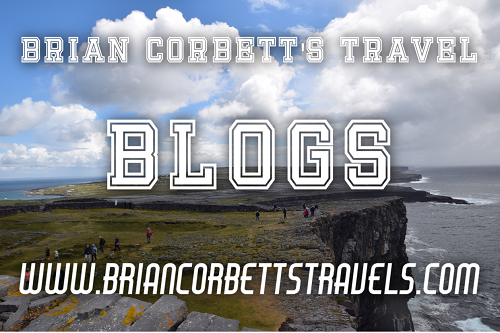 Today I'm inviting you to join the "Brian Corbett's Travel Club" a new club website to bring Traveling & Photography together where you share news articles, events and Travel Memories.. my aim is to enable all keen travellers to realise their most challenging and exciting travel goals.. So when you post on Facebook, Twitter or Instagram add the following hashtags to your posts: #thehappywanderer #briancorbettstravelclub #travelnexplore so we can grow together..
Join/Signup as a new member of the #briancorbettstravelclub on the Club website: http://www.briancorbettstravelclub.com to share photos & have discussions: Travel & Photography related topics only. Join/Signup as a new member of the #briancorbettstravelclub on the new Club website: http://www.briancorbettstravelclub.com to share photos & have discussions: Travel & Photography related topics only.